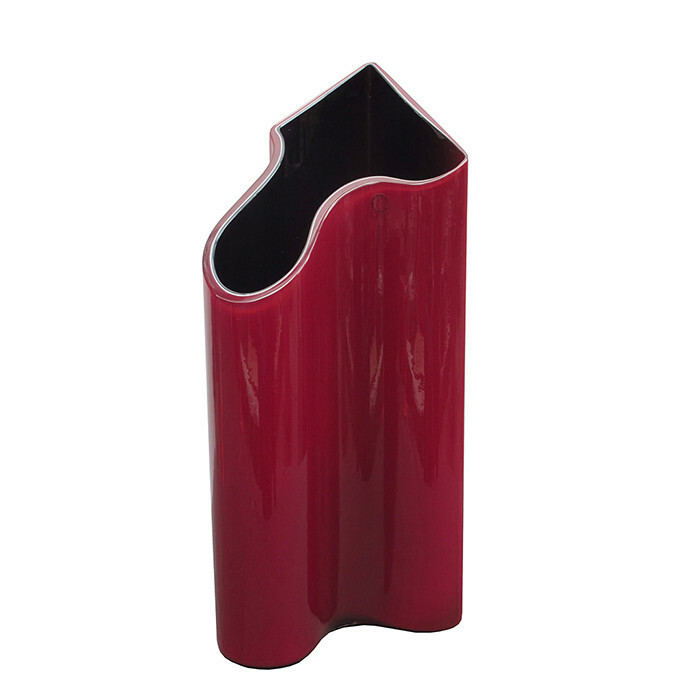 " Kelo " Italian Art Glass vase by Timo Sarpaneva for Venini & Co. Glass, clear, black, white and red. Marked: venini 90 Sarpaneva (engraved). Dimensions: H:18½ W:8 D:8½ Inches.